The Japanese concept of wabi-sabi essentially holds that beauty is found in imperfection—that flaws are, in fact, a natural part of beauty itself. The concept as applied to wine presents a bit of a conundrum, particularly in America where wines are ranked on a 100-point scale. Is a so-called perfect wine actually flawless? Can faults be manipulated in such a way as to be pleasing? It was a notion that intrigued Jamie Goode, wine writer and author of the books The Science of Wine and I Taste Red. Beyond simply labeling what is “wrong” with a wine, understanding how faults present themselves can offer a framework for why we do or don’t enjoy a particular wine. While Goode acknowledges that a deep dive into wine faults may be overwhelming to the average wine drinker—”It’s like reading a medical textbook; you immediately think you’ve got seven or eight diseases”—he does suggest asking more questions. While a major fault may be self-evident, if you taste a wine that seems a little off, or if you simply don’t enjoy it like you thought you would, it’s perfectly acceptable to query the sommelier, wine shop owner or even the winemaker, should you happen to be in their company. 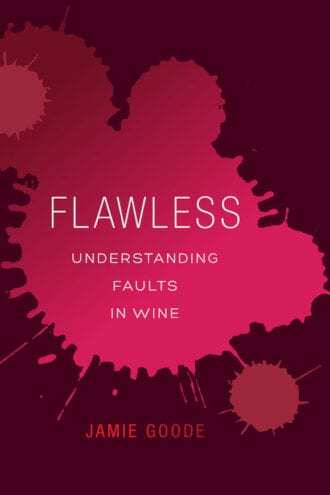 “These people, day in and day out, come face to face with wine faults, and the accumulated experience is a valuable source of information,” Goode notes in Flawless. Apple brandy and pear liqueur add extra character to this riff on the classic.